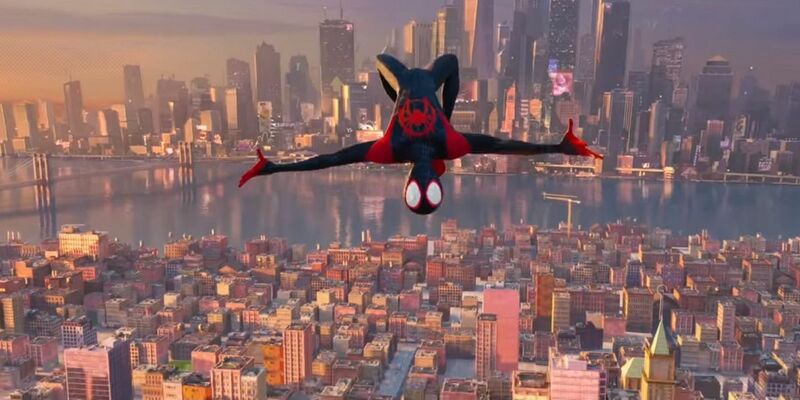 The universally-acclaimed Spider-Man: Into the Spider-Verse has won a BAFTA Award for Best Animated Film. This is the twenty-sixth major award the animated film has earned since its release in December 2018. When accepting the award, Phil Lord -- who wrote the film along with Rodney Rothman -- said, "We share this with 800 other filmmakers and maniacs who worked really hard to try to break new ground and take animation in new directions, all because we wanted to make a film worthy of Miles Morales, and I hope this encourages other people to do the same." Producer Christopher Miller celebrated the award by tweeting a photo of Lord holding the BAFTA mask, "Anyone can wear the mask," he wrote. Into the Spider-Verse film follows Miles Morales as he finds himself embroiled in a plot by the Kingpin that threatens the safety of not just his world, but every world in existence. The only way he can save the multiverse is by uniting with all the other Spider-based heroes he can find. Since its release, Sony's Into the Spider-Verse has been consistently praised, not only for its well written script and the performances of its talented cast, but also for being an astonishing achievement in animation. The film took 142 animators to complete using a combination of modern animation and the methods and techniques of traditional comic book artwork, resulting in visual effects that many professionals are calling revolutionary. Into the Spider-Verse was also notable for being the feature film debut of Miles Morales, the African-American/Latino protagonist who first appeared in the Ultimate Spider-Man comic in 2011. Other contenders for the BAFTA were Disney's Incredibles 2 and Wes Anderson's Isle of Dogs, both of which will compete for the Academy Award for Best Animated Film later this month. Directed by Bob Persichetti, Peter Ramsey and Rodney Rothman, Spider-Man: Into the Spider-Verse is in theaters now.